It is an extremely modular piece of software. Even some of the seemingly "built-in" pieces of the software, such as GZIP or SSL, are actually built as modules that can be enabled and disabled during the build time. It has core (native) modules and third-party (external) modules created by the community. Right now, there are over a hundred third-party modules that we can utilize. Written in C language, it's very fast and lightweight piece of software. Installing NGINX from source code is relatively "easy" - download latest version of NGINX source code, configure, build and install it. You’ll need to choose whether to download the mainline or stable version, but building them is exactly the same. 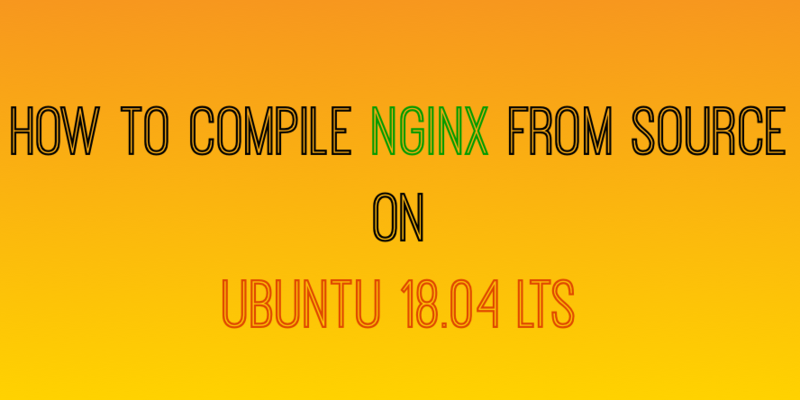 In this tutorial, we will build NGINX with all available modules in open source version of NGINX and we will use mainline version which is at 1.15.0 at the time of this writing. Update version numbers when newer versions become available. Mainline – Includes the latest features and bug fixes and is always up to date. It is reliable, but it may include some experimental modules, and it may also have some number of new bugs. Stable – Doesn’t include all of the latest features, but has critical bug fixes that are always backported to the mainline version. NGINX has two types of modules that you can utilize: core modules and third-party modules. Core modules are built by the core NGINX developers and they are part of the software itself. Static modules exist in NGINX from the very first version. Dynamic modules were introduced with NGINX 1.9.11+ in February 2016. 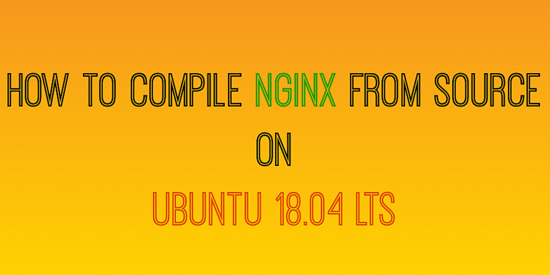 With static modules, set of modules that constitute an NGINX binary is fixed at compile time by the ./configure script. Static modules use --with-foo_bar_module or --add-module=PATH syntax. To compile core (standard) module as dynamic we add =dynamic, for example --with-http_image_filter_module=dynamic. To compile third-party module as dynamic we use --add-dynamic-module=/path/to/module syntax and then we load them by using load_module directive in the global context of the nginx.conf file. In comparison with some other UNIX/Linux software, NGINX is pretty lightweight and doesn’t have many library dependencies. The default build configuration depends on only 3 libraries to be installed: OpenSSL/LibreSSL/BoringSSL, Zlib and PCRE. NOTE: NGINX can also be compiled against LibreSSL and BoringSSL crypto libraries instead of OpenSSL. You can also open your browser and navigate to your domain/IP address to see default NGINX page. That is an indicator that NGINX is up and running. NOTE: By doing the above step, you will get a nice syntax highlighting when editing NGINX configuration files in Vim editor. 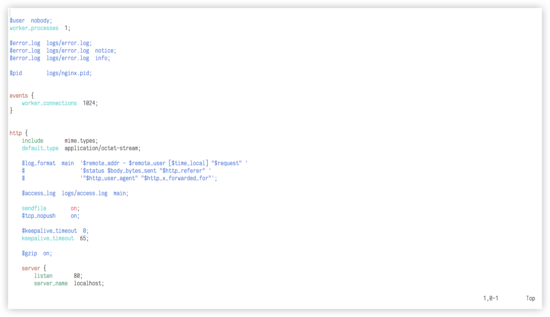 Create logrotation config for NGINX. That's it. 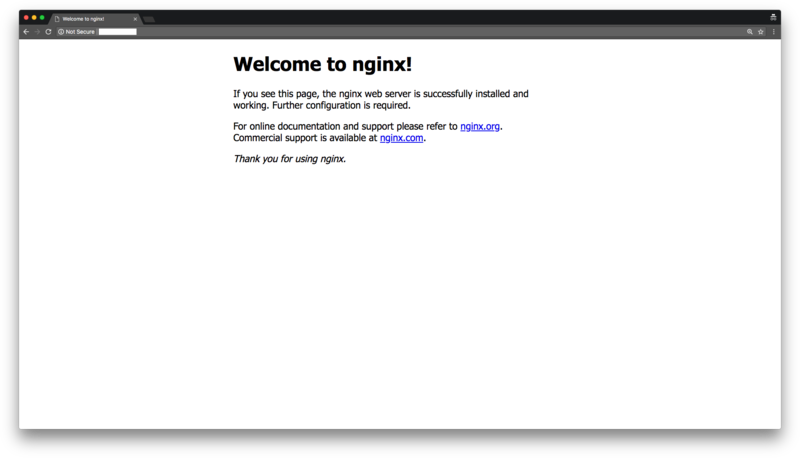 Now, you have the latest version of NGINX installed by building it from source code. It is compiled statically against some important libraries like OpenSSL. Often, system-supplied version of OpenSSL is outdated. By using this method of installing with a newer version of OpenSSL, you can take advantage of new ciphers like CHACHA20_POLY1305 and protocols like TLS 1.3 that will be available in OpenSSL 1.1.1. Also, by compiling your own binary, you are able to tailor what functionality your NGINX will provide, which is much more flexible than installing a pre-built binary. Very nice tutorial. Appreciate your work here! I wanted to downgrade from nginx-1.14 to nginx-.1.10.3 and managed to do it following your tutorial. Thant's some awesome tutorial. Thank you verry much sir !! Got the following error when 'make'.